The technology of blockchain opens up a world of new possibilities, and the benefits are continually being discovered. It promises to change a multitude of industries from banking and payments to real estate and elections. Understanding this powerful technology is the first step to be able to benefit from its strengths and profit from its wide span of applications. A distributed, cryptographically signed public ledger that stores transaction data across multiple computers(nodes). It securely tracks and verifys transactions and cryptocurrency payments without using any centralized authority. 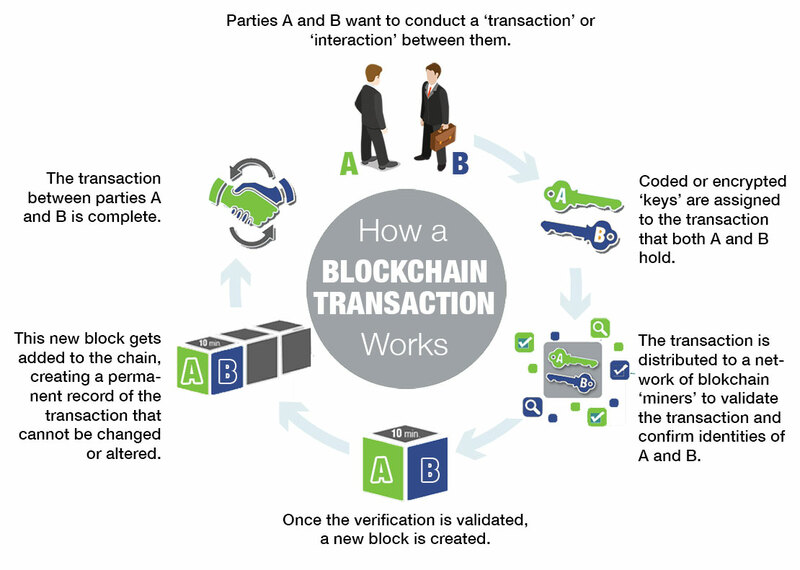 Transactions are recorded in the blockchain, in a linear, time-stamped series of bundled transactions known as blocks. Blockchain technology was invented in 2008, but only came into the public conversation when Bitcoin was launched. It is essentially digital money that uses cryptography and blockchain technology to facilitate secure and anonymous transactions. Cryptocurrency transactions work around the traditional financial system through the infrastructure of blockchain technology. Cryptocurrencies do not rely on a centralized authority (middleman) to perform or verify transactions. Crypto-mining involves using high-powered computers to solve complex mathematical equations on a competitive basis in order to verify and log the transactions. Transactions need to be verified by a group of computers known as cryptocurrency "miners". Currently there were over 1,000 different cryptocurrencies available to buy. It is a distributed, cryptographically signed public ledger that makes it possible track and verify transactions and payments without any centralized authority. The Blockchain is freely shared across multiple computers, continually updated and under no central control. Transactions that are recorded in the blockchain are a linear, time-stamped series of bundled transactions known as blocks. Miners are the backbone of the cryptocurrency network. Cryptocurrency miners are high-end computers that run continuously to solve mathematical equations to verify transactions on the blockchain. Mining is the process of solving these increasingly-complex computational problems to confirm transactions and add them to the public ledger (blockchain). A computerized protocol which stores and carries out contractual clauses via blockchain. Smart contracts may change the way that business agreements and transactions take place through decentralisation, removing the need for third parties and streamlining interactions. Ethereum is a blockchain-based decentralized platform for apps that run smart contracts, and is aimed at solving issues associated with censorship, fraud and third party interference. A cryptocurrency "wallet" is a secure application that is used to store, send, and receive digital currency like Bitcoin. There are two kinds of cryptocurrency wallets, Hot and Cold. The difference lies in whether or not the wallet is connected to the internet or not. A Hot wallet is held on a mobile device, computer or laptop and is considered less secure but more user-friendly. A Cold wallet is a Crypto wallet that is used for longer term, "cold storage" of digital assets offline and is considered more secure. A masternode is basically a computer that participates in the coins network by hosting a copy of the coin’s ledger (aka blockchain) and helps ensure the coin's network. In return for hosting the coin's ledger, the Masternode receives a reward (free coins).